OPEN Architecture was founded by Li Hu and Huang Wenjing in New York City in 2003, and five years later they established a Beijing Office. 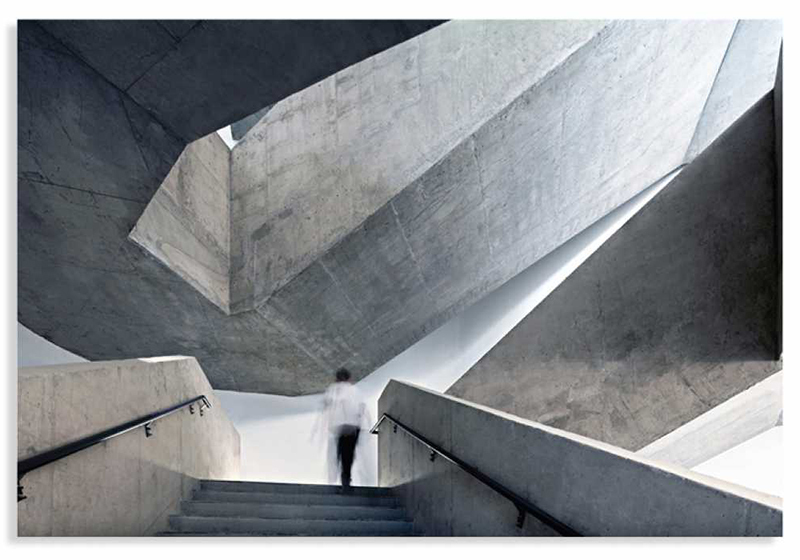 In the ensuing decade the studio has realized just over a half-dozen impressive projects in China: Gehua Youth and Cultural Center (2012), Beijing No.4 High School Fangshan Campus (2014), Stepped Courtyards (2014), HEX-SYS (2015), Tsinghua Ocean Center (2016), Pingshan Performing Arts Center (2018), and UCCA Dune Art Museum (2018). 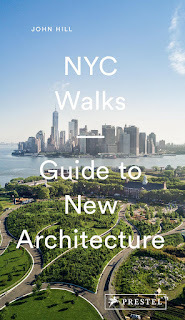 I use the word impressive to describe the seven projects that make up Towards Openness in regards to their size, their diversity, and the quality of their designs, especially the way the architects shape outdoor and interstitial projects. 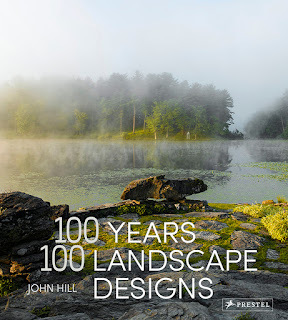 The scale and diversity of their projects arises largely from their settings, the country in the midst of the largest and quickest modernization and urban migration in history. 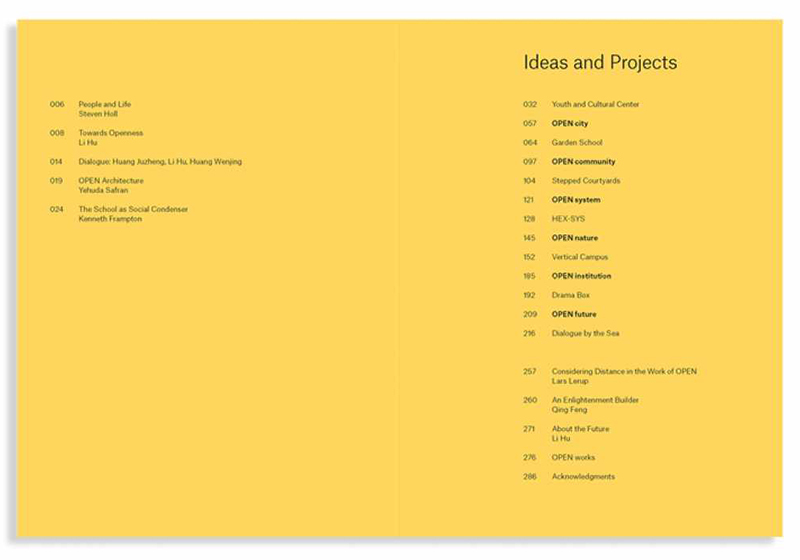 Inserted between the seven projects are six sections that illuminate OPEN's take on China's urbanization this century. 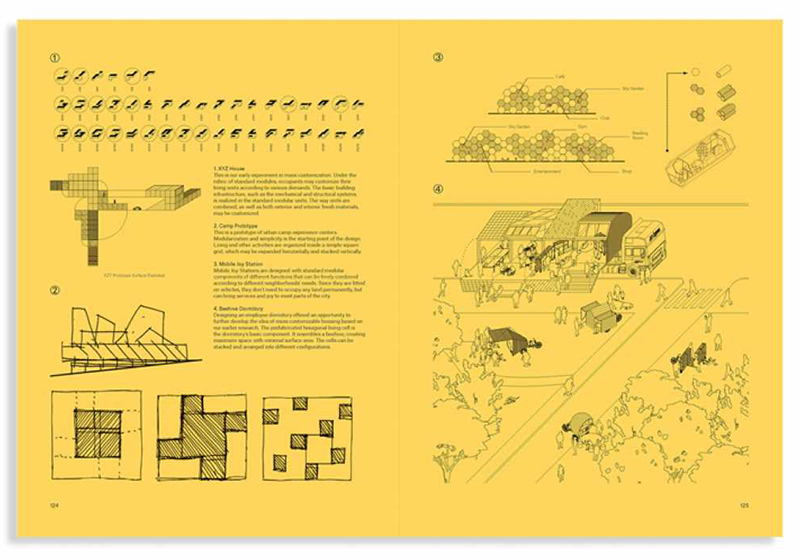 Articulated as text and drawings on yellow pages, these inserts take on phrases constructed around the practice's name – OPEN city, OPEN community, OPEN system, OPEN nature, OPEN institution, OPEN future – making them a mix of manifesto and branding. 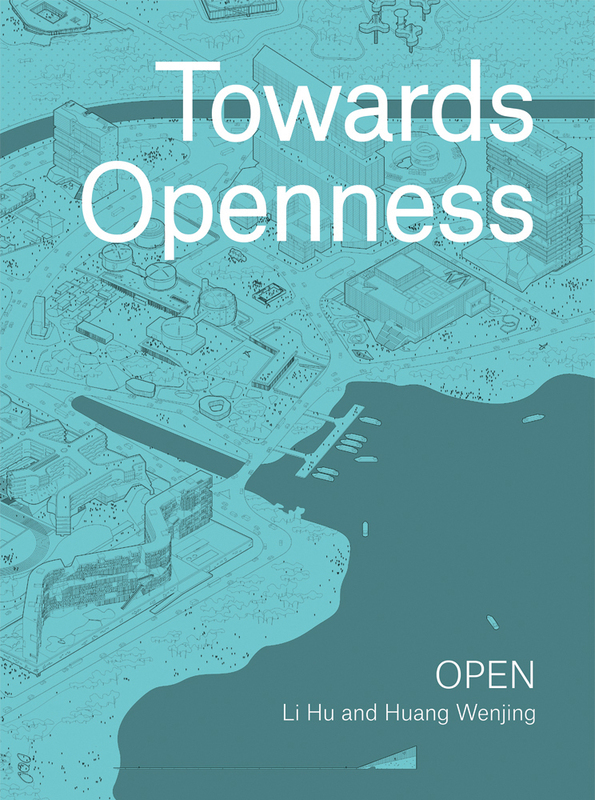 These illustrations culminate in the OPEN CITY, an aerial perspective of OPEN's built and unbuilt projects in a compact seaside context (also visible on the cover). This imaginary city captures the creativity of OPEN's designs, but it also conveys just how much their compositions of solids and voices are shaped by the Chinese urban context of large parcels and larger populations. LI Hu is founding partner of OPEN Architecture, visiting professor at the Tsinghua University School of Architecture, former partner of Steven Holl Architects, and director of Columbia University GSAPP’s Studio-X Beijing. 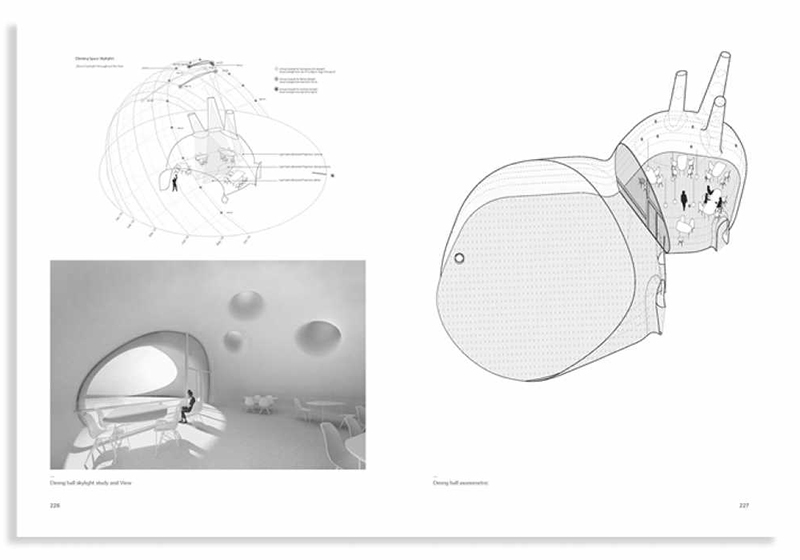 HUANG Wenjing is founding partner of OPEN Architecture, visiting professor at Tsinghua University.